Theranos founder Elizabeth Holmes, whose high-flying startup has been marred by scandal, surrounded herself with a remarkable roster of well-known people. The list of investors and board members who were involved in the company, which promised to revolutionize blood testing, included two billionaire executives, a top Silicon Valley venture capitalist, and a member of President Donald Trump's cabinet. On Wednesday, the SEC announced "massive fraud" charges of $700 million against Theranos, Holmes and former Theranos president Ramesh "Sunny" Balwani. The SEC said Theranos, Holmes and Balwani misled partners and investors about the company's technology, misrepresented revenue projections and falsely claimed it didn't need regulatory approval for its testing technology. The SEC said they also misled the tech press to bolster the startup's profile and gain investment. Holmes and Theranos reached a settlement, while the SEC said it would take its case against Balwani to court. 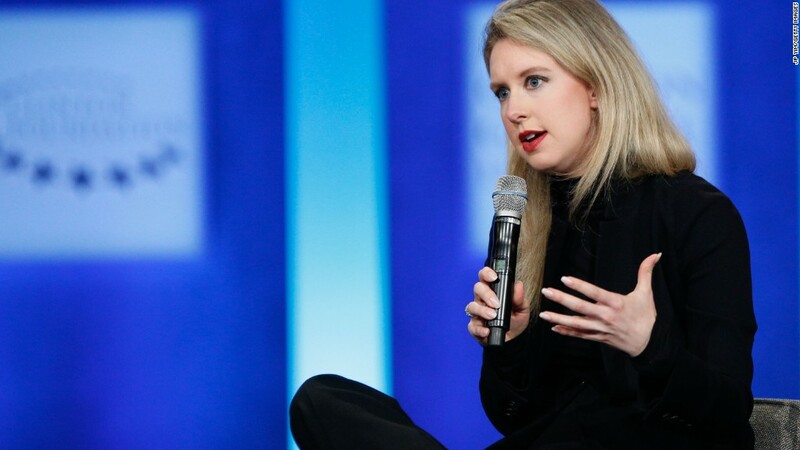 Holmes, who was age 19 when she started Theranos in 2003, secured more than $900 million from investors, including $100 million in debt financing in December 2017, according to data from PitchBook. Investors included Oracle founder Larry Ellison, venture capital firm Draper Fisher Jurvetson, now Secretary of Education Betsy DeVos and media mogul Rupert Murdoch. The Wall Street Journal reported Wednesday that "the losses for Mr. Murdoch, once the company's largest investor, total more than $100 million," citing people familiar with the matter. Murdoch is the executive chairman of News Corp, which owns the Journal. Murdoch declined to comment through a spokesperson. Holmes reportedly drew on familial relationships to raise some of the funds. Oracle's Ellison was connected to venture capitalist Don Lucas, who Holmes met through a college friend of her father, The New York Times reported. Ellison was an early investor in Theranos. Tim Draper, of VC firm Draper Fisher Jurvetson, was a neighbor of Holmes growing up. Draper, along with his daughter Jesse, has been one of Holmes' fiercest defenders. Draper's firm was one of her first investors. In 2016, after the company voided two years of blood tests and moved away from blood testing, Draper fended off criticism of Holmes as the push-back faced by entrepreneurs who disrupt industries. In an email correspondence, Draper told CNN in August 2016, "Taxi companies attacked Uber. Hotels attacked Airbnb. Car companies attacked Tesla. Telecoms attacked Skype. Fortunately for humanity, the transformative technologies made it through the attacks and we are all better off." "They should be ashamed to try to take down this woman who is trying to do so much for health care. ... She should be hailed as a hero," Draper added. Draper has been silent on the SEC charges against Theranos and Holmes. CNN reached out to a spokesperson for Oracle but did not hear back. Draper and representatives for DeVos did not reply to requests for comment. Walgreens and BlueCross BlueShield were also among the startup's investors. Walgreens sued Theranos for allegedly falsely advertising its technology's capabilities and for inaccurate lab results. The suit was settled in 2017. A representative for BlueCross BlueShield did not immediately respond to requests for comment. A representative for Walgreens declined to comment. The Theranos board was a who's who of big names. Critics have said it was too heavily weighted to military and intelligence professionals, rather than people from the medical industry or biotech venture capital. Former Secretary of States Henry Kissinger and George Schultz, former Secretary of Defense William Perry, Senators Bill Frist and Sam Nunn, and current Secretary of Defense James Mattis were once board members. "Secretary Mattis was struck by the promise of technology and was looking for any technology solution to save lives on the battlefield," said Pentagon spokesperson Dave Eastburn. "He resigned his position on the Theranos board on Dec. 16th prior to his confirmation." Former Wells Fargo CEO Richard Kovacevich served on the board, as well. Litigator David Boies served as outside counsel for the company for a period, as well as a board member. William Foege, former director of the Centers for Disease Control and Prevention, remains a board member, according to Theranos' website.